We have an infrastructure of 3 rooms with 4 beds each, pool, breakfast, wi-fi, game place and barbecue. 1 more room from 14 beds, confortable and economic. 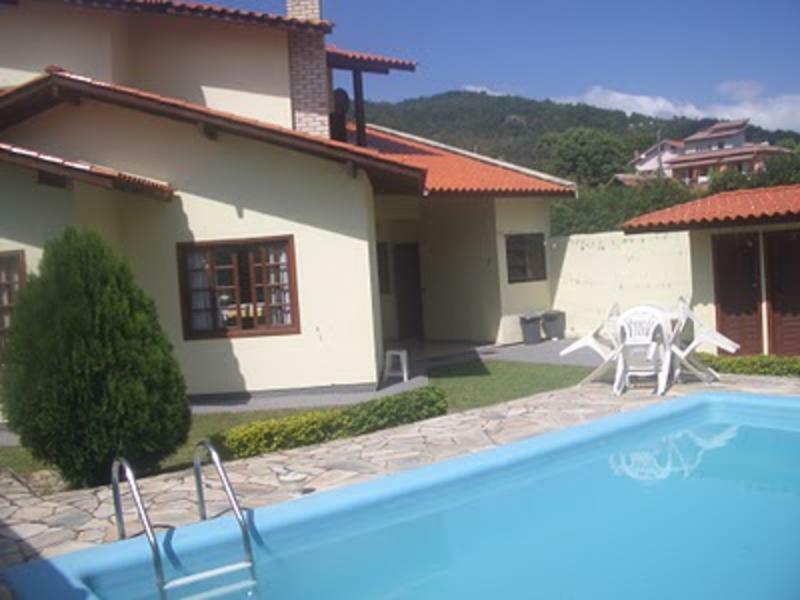 300 meters from the beach with tranquility and native nature, the Vila do Sol Hostel is located near market, gas station, bus stop, restaurant and bakery. We offer several additional services that will make your holiday more fun. Everything with a very low cost. Campeche beach lies between Joaquina and Morro das Pedras. There are no geographical features separating the 3 beaches, which extend for a long stretch of white sand, surrounded by dunes and sandbank vegetation. The Vila do Sol Hostel has 3 themed rooms: Sea, Sun and Forest, offering comfort and grace. They have ceiling fan, television, and each bed has its respective locker for you to store your belongings safely. If you have to cancel your booking, you must do it at least 24hrs before arrival. Crossing the Pedro Ivo Campos bridge and reach the island of Santa Catarina, go straight on along Gustavo Richard Avenue, toward the tunnel Deputada Antonieta de Barros. Exiting the tunnel is the Southern Expressway, follow to the end. At the end of the Southern Expressway is the interchange that provides access to the airport. Turn left and then right, toward the South Island, taking the SC 405. After 3 km is the Rio Tavares's interchange, passing the Texaco service station turn right, continue along SC 405. A mile ahead is the interchange's Campeche, turn left. You will be in the Pequeno Prncipe Avenue, through to the end, about 2 km, turn the last left before you reach the beach of Campeche. This is Campeche Avenue. Then follow the avenue for about 1.5 km. By passing the Market Dezimas, pass two speed bumps and turn left on Servitude Paulo Vieira. Follow up to number 236, reaching the Vila do Sol Hostel. Onibus Aeroporto: única linha até o Centro, do centro mesmo trajeto da Rodoviária.